One of the most important elements of our babies’ bedtime routine came as a gift: a pair of plain white Aden & Anais swaddle blankets. Lightweight, breathable, and incredibly soft, this is the first and last blanket you’ll ever need for your baby. 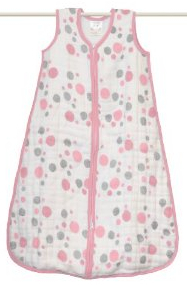 Muslin, the material for which Aden & Anais blankets are renowned, is a loosely woven cotton fabric. It originated in Bangladesh and became popular in Europe in the 17th and 18th centuries. Because air moves so freely through this fabric, it’s commonly used for curtains, clothing, and upholstery in hot and dry climates. 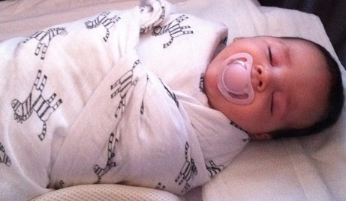 The classic Aden+Anais blankets are perfectly suited for swaddling because they’re large, thin, and lightweight. 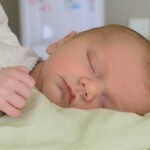 When you have a newborn you can swaddle him or her with virtually any receiving blanket bigger than a hand towel. It gets more challenging, though, as your baby grows (in length and weight) and becomes stronger. At some point, a receiving blanket is no longer enough. They’re made of a muslin. It’s a special weave of cotton that’s light, airy, and thin. 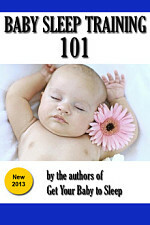 They fold and wrap easily, while remaining breathable and not over-heating your baby. They’re larger than most baby blankets. 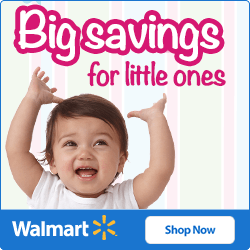 Measuring 44″ x 44″ or 47″ x 47″, these are enough to wrap your baby a few times. The material is super-soft. Your baby will love that, and be less likely to kick out of it. Try swaddling with an Aden+Anais and you’ll understand. It’s just easier, and you can make nice folds and tucks (like the girl at left) to keep it secure. 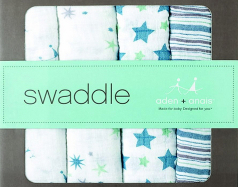 The Aden & Anais classic and swaddle blankets come in 4-packs. This actually isn’t a bad deal – they often go on sale on Amazon.com, and you’ll be glad to have extras of these. If your babies are anything like ours, they’ll quickly become attached and fall asleep more quickly with the comfort of that soft muslin against their cheeks. Having extras on hand becomes very important. Plus, you can and should wash the blankets. Aden & Anais encourages it, and says that the more you wash them, the softer they’ll become. Hard to imagine, but it seems true to us. Keeping your little ones warm, especially on winter nights when a lighter blanket doesn’t seem like enough. Snuggling on the bed or couch (with a few stuffed animals, of course). For an older child (2-5 year old) to sleep under in the toddler bed. Though I haven’t had any issues with our single-layer swaddle blankets, I’d imagine that the Dream blanket is more durable, too. This is good for travel or outdoor use, and also handy because kids tend to get attached to blankets like these. They’re not bad for adults, too. I admit I’ve occasionally “borrowed” one of our boys’ blankets because they’re just so incredibly soft. Snug, safe fit around your baby. Essentially, it becomes part of your baby’s pajamas. No loose blankets to worry about. Warmth with freedom of movement. The arms are completely unencumbered, the legs kept warm in the “bag” without being restricted the way a swaddle does. 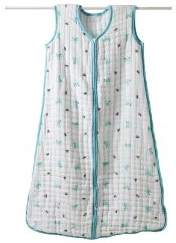 Perfect for when they start kicking out of the swaddle. Zipper closure with diaper access. The zipper starts at the top (over the baby’s chest) and goes down to the feet. It takes a bit of getting used to, but the advantage is that you can access the critical diaper region without taking the sack off entirely. 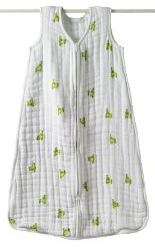 Plus, there are lots of cute designs to choose from in the sleep sack. Make sure that you pay attention to the sizes. Go get one of these, either for your little one or as a gift. You won’t regret it!